In this area I only had to remove a square of the luan roadbed large enough to recess the slide switch. This lowers it to clear the throwbar above. 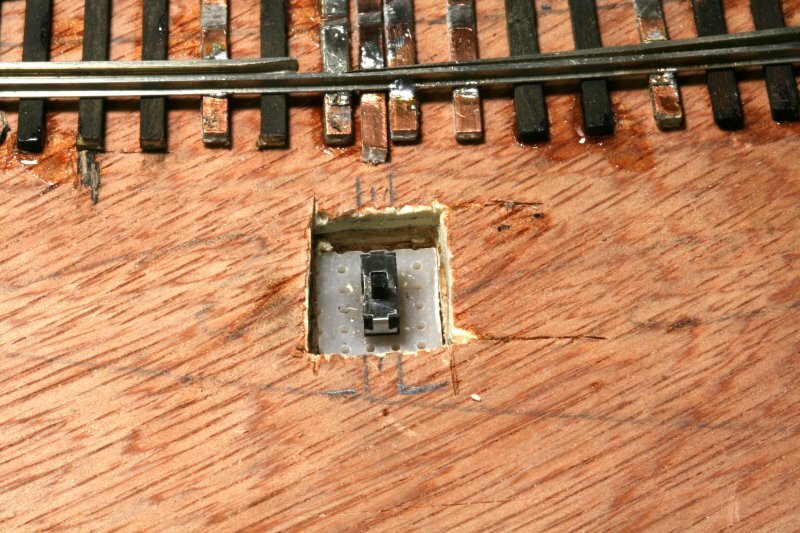 A small piece of PC board tie gets soldered to the Z-Scale throwbar, with a hole in it that goes over the slide switch knob. Jim invented the assembly, works great, looks excellent! This holds the points in place, and throws the frog polarity according to point position.